The newest addition to SCPL’s circulating materials are Playaway Launchpads. Launchpads are pre-loaded circulating tablets that require no downloads or Wi-Fi connection. The launchpads are pre-loaded with learning apps & games, comics, and/or videos that can be accessed anytime, anywhere. 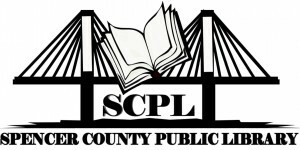 SCPL has recently purchased launchpads for ages 3-5 (grades Pre-K – K) and ages 5-7 (grades K – 2). Check out these new launchpads in the children’s department at the Main Library – Rockport. They circulate like a regular playaway or book, so you can check one out for three (3) weeks! Launchpads must be checked out to a patron 18+ years. 1 Playaway Launchpad per family. There will be a charge of $99.99 for a loss or damage to this item plus a $10.00 processing fee. Log in using your library card number. First time users should click on the ‘life saver’ in the lower left corner to access a short tutorial on how to begin using MUZZY Club. After viewing the tutorial, or to start using the course, click on the numeral 1 to begin the journey to bilingualism. Perform a one-time installation of the Puffin Academy Safe Browser for Children. After the installation, open the Puffin Academy Portal and search for Muzzy. Make the library part of your legacy. The library’s donor wall recognizes the friends, families, businesses, and many individuals who have supported the library with financial contributions. Monetary gifts allow us to enrich, educate and inspire Spencer County residents by providing entertaining and educational programs for all ages, as well as, up-to-date materials and technology. All donors are instrumental in our mission to improve the quality of life in our region. Gifts are gratefully accepted in amounts starting at $50 (plates only, drawers start at $100). Each card catalog drawer will signify a level of contribution. Donor recognition is ongoing. Gifts can be made at any time and are tax deductible.